He hath shewed thee, O man, what is good; and what doth the LORD require of thee, but to do justly, and to love mercy, and to walk humbly with thy God? You guessed it right. This is a passage from the King James Version from the book of Micah (Chapter 6, Verse 8) in the Old Testament. Tehila, a tattoo fanatic has a quote of this inspirational passage inked on the neck. 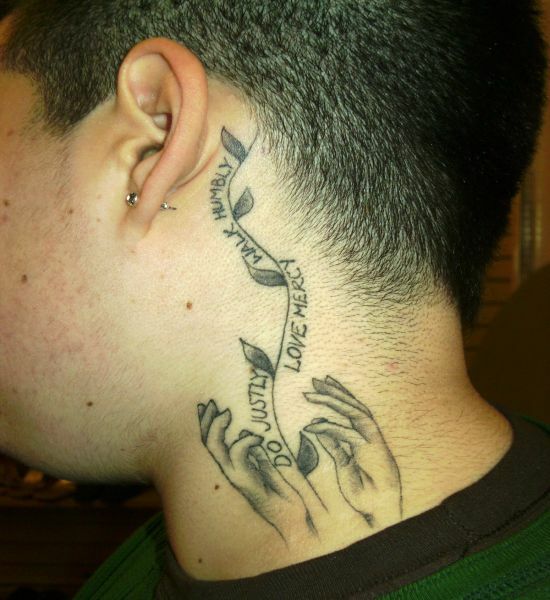 The tattoo reads âDo justly, walk humbly, love mercyâ. Nice piece of art I must say! ← Smile now cry later cute clown tattoo!